Childhood obesity is a serious and growing problem in countries like Canada, the United States, and many parts of Europe. For many children, a diet with high sugar, preservatives in foods, and a sedentary lifestyle have led them to develop conditions like type 2 diabetes and other illnesses associated with being overweight. If your doctor has deemed your child overweight, you may be wondering what to do. It can be overwhelming to figure out how to improve your child’s eating habits and lifestyle, as well as manage your own busy schedule. But there is good news! Dance classes for kids is one solution to this problem. Dance is a way for children of all shapes and sizes to get together and stay active, while doing something they enjoy and can excel at. If you are concerned about your child’s health, here’s how dance lessons for children can help fight obesity. How Can I Encourage My Child to Lose Weight? Working out and eating salad doesn’t sound like fun to most children. But there are other ways you can encourage your child to lose weight and become more active. Before you sign them up for extra-curricular sports or activities, it’s important to address the discouragement and low self-esteem your child might have. Many children with obesity are bullied at school, treated unfairly by adults, and feel within themselves that they are ugly and unworthy. As a parent, you need to make sure your child knows you love them no matter what, and that you will be by their side to help them live the best possible life. You can help you child by being uplifting, positive, and supportive through any process or program they choose to help them lose weight and become more active. Help them by setting goals and tracking their progress. When they excel, reward them with praise and hugs. Tell your child often that he or she is loved, important, and valuable. The way children feel about themselves is often based on how they think other people, especially their parents and caregivers, feel about them. Make sure you are setting a loving foundation for your child. Dancing is highly social. Dance classes can help kids who need to improve their social skills to communicate better, learn teamwork, and develop a stronger sense of cooperation and trust. They will make new friends and grow in self-confidence, knowing they are part of a team and that they fit in. To become a skilled dancer, one needs to practice, discipline themselves, and focus. These skills can be applied to other areas of life, such as school, and eventually work. Kids who participate in dance classes tend to do much better in academics than those who do not. A recent study examined 66 styles of dance including jazz, ballet, flamenco, salsa, swing dancing, hip hop, and more, and discovered that hip hop scored the highest in providing kids with the best rigorous physical activity. If you’re trying to get your child to move more than they are, hip hop is the best choice. The great thing about hip hop is that it is a dance style that kids tend to find cool and exciting. Both boys and girls love the variety of dance moves, the music, and the upbeat style, and now, parents can benefit too in knowing their child is getting the exercise they need to begin a healthier lifestyle. When most people think of ballet, they imagine slow, low impact dance moves that only slender dancers can perform. This is far from the truth. Ballet demands a lot of flexibility, but also requires strength, stamina, and precision to perform most of the movements and positions. The slow pace of ballet is similar to Pilates exercises. Although the speed of movements is slower, it requires muscular strength to control and hold each position. This builds long, lean muscles, similarly to some gym exercises. The movements cause the strengthening, and lengthening of the muscles, providing kids with a full-body workout. As ballet tones and defines the body, it also burns fat deposits that create the appearance of a rounded figure. If you enroll your child in ballet dance classes, they will strengthen their legs, arms, abdomen, back, and feet without even realizing it. As you can see, there are many health benefits and reasons why kids should dance, so if you’re looking for the right dance studio for your kids, Performing Dance Arts is a great choice. 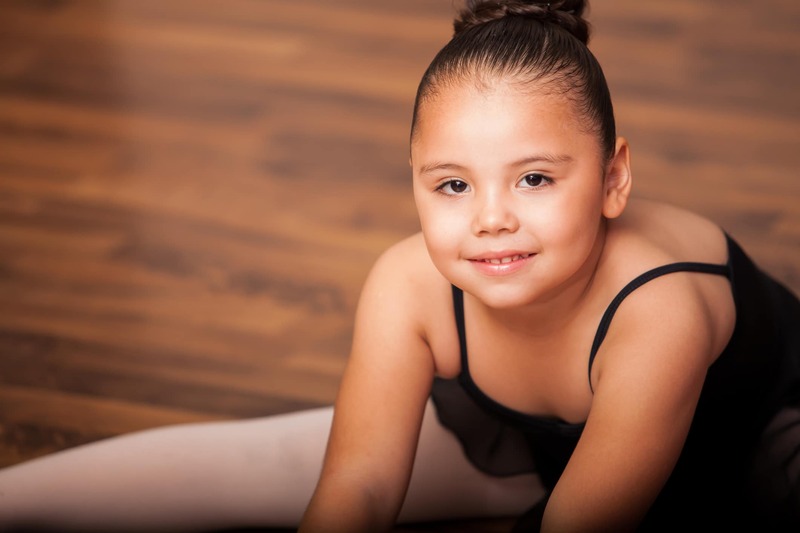 At our outstanding facilities, we provide students with extraordinary instructors that are certified and trained to teach the ballet and hip hop techniques that can turn your child into an expert dancer. Our studio inspires creativity and our instructors will motivate your child to dance with passion, creativity, and excitement. Your child will enjoy our classes, improve their physical health, and grow as part of a team. The skills they learn from our dance classes can help them do better in many other areas of their lives. Let your child experience the joys of dance by contacting us today. We will provide you with all the information you need to know about our programs, and what your child will need to bring to their first class. Or, you can visit our Toronto dance studios to see our facility for yourself!